Genetics in the Nest Box after a Big Mistake! 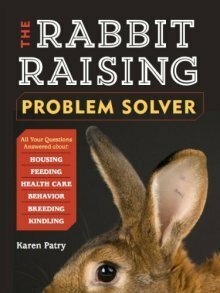 I made a first-timer mistake (I have been raising rabbits for 20 yrs). 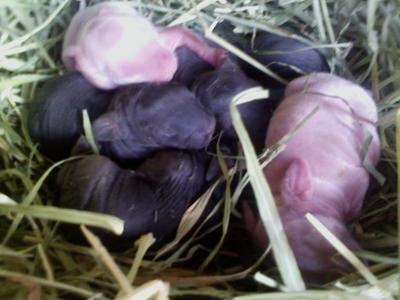 I had all my bunnies ready for culling. I raise mine out a little longer because I have Champagne D'Argents and I want that perfect hide too. So I took care of the buck and a week later the doe that kitted. Well yesterday here comes another litter (palpitated this last doe and knew this litter was coming). All 6 kits are as healthy as can be. My head is spinning when I see them. Mom and dad are full brother and sister so pure Champagne's. Well, I got 2 PINK babies? and I'm wondering why. Champagnes are always born black. Maybe Creme d'Argent? Albino? As they say, breeding brother and sister (or close relatives) can be a quick way to discover what recessive genes are hiding behind the dominant ones. Your guesses are spot on, but time will tell which is correct. If those kits are albino, then you've discovered the albino recessive 'c' gene at the 'C' locus in BOTH the sire and the dam. If so, then each of the parent rabbits is 'Cc' at the C locus. Mate the two, and roughly 25% of the offspring will be snow-white ('cc') with red eyes. If Cremes, then you've found a couple of 'e' non-extension genes. If so, then each rabbit parent is 'Ee' at the E locus, and mating the animals results in roughly 25% of the offspring with 'ee,' or red coloration instead of black. Add in the silvering gene, and you end up with Creme d'Argents. My money is guessing red. After squinting cross-eyed at your pictures (which I'm glad you posted, thanks! ), I thought I detected a bit of beginning red. 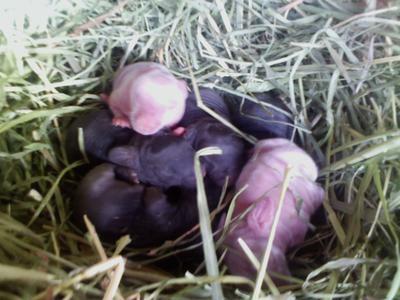 If you REALLY don't want a red or white gene (whichever it turns out to be), then you'll have to do some test-breedings and identify the rabbits carrying the recessive trait so you can avoid using them in the breeding program. "Here is the color of the pink baby today. Kind of a silver, gray color. :) Hope it lives and I get to see the end result." Wow! So, not albino and not Creme d'Argent. Yep, certainly does look lilac, though hard to tell exactly on a computer screen. I would think the likelihood is better that this is a dilute black (blue) rabbit, or an Argente Bleu as they are known where they are raised and recognized, but...yeah, looks Lilac! Comments for Genetics in the Nest Box after a Big Mistake! 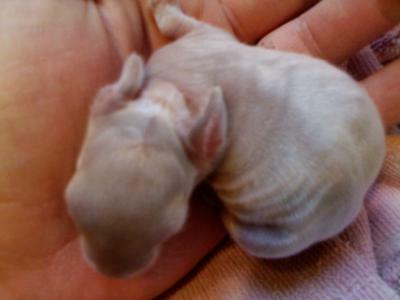 The grand parents of the babies have been bred together A LOT like 7 litters in 2 years. Nothing but black babies. I'm so excited to see what happens with this litter and I will keep you posted as to their true color.